Likely few McDonald’s clients in Costa Rica know that when they dial up the fastfood chain’s express line to place an order, they often are not calling McDonald’s. Anyone who has crashed a car and had to call the National Insurance Institute (INS) might be surprised to discover the call was not answered there. Instead, these clients may have been serviced from rows of cubicles lined up inside a sleek, state-of-the-art office inside the Torre Mercedes towering over Paseo Colón in western San José. This is ITS Infocomunicación, an expanding Costa Rican company dedicated to information technology and outsourcing services, according to Armando Vargas, ITS Director of Corporate Relations. ITS clients include the Costa Rican Electricity Institute (ICE), the state-owned Internet provider Radiográfica Costarricense S.A. (RACSA), banks and companies such as Coca-Cola and Chiquita Brands. 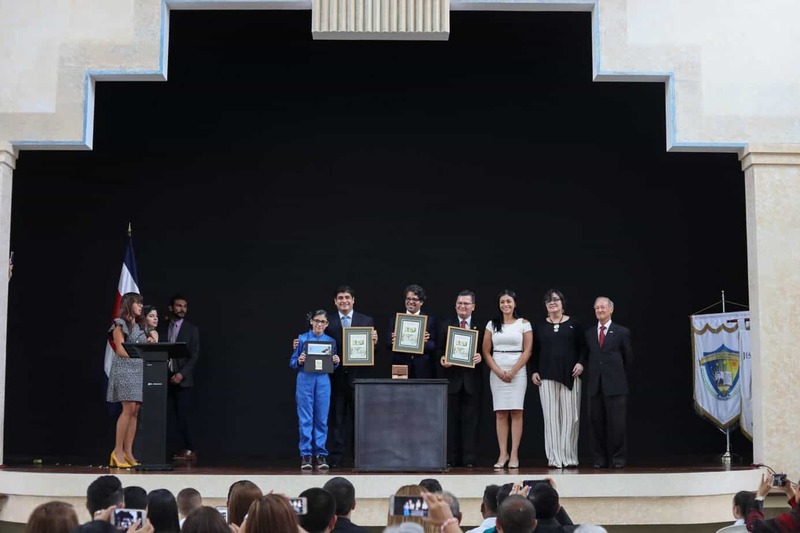 Because of its strong social responsibility culture, ITS also helps Costa Rican students and communities through internship programs, scholarships and other educational and technological programs, according to Vargas. The company was founded in 1997 by a group of information technology and computer network engineers. Since then, ITS has expanded its services to 17 countries in the region. Just this year, its Central American market has grown significantly with several new major contracts. ITS signed contracts in May for network installations with the telecommunications firms Telgua in Guatemala, Telecom of El Salvador and in June with Telecommunications Services (Sercom) in Honduras, according to a press release from Concepto Asesorías communications agency. 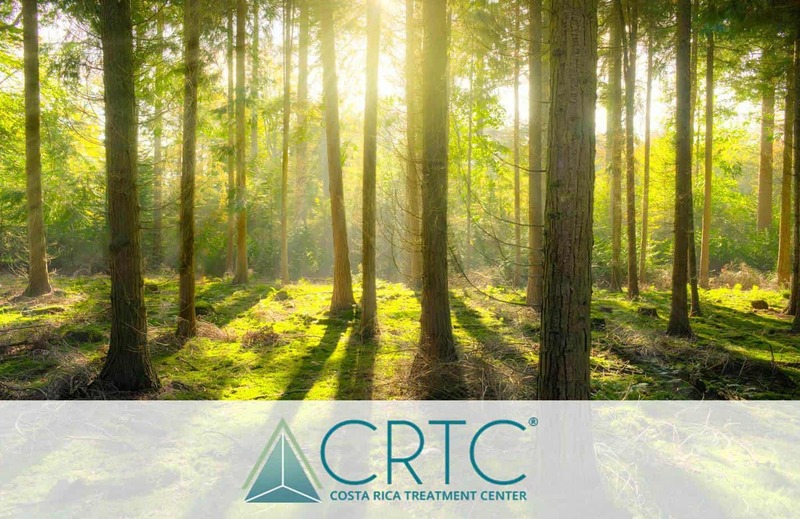 Nine years ago, ITS president Vladimir Vargas set out to fill a void in the Costa Rican market with a company that provides connectivity services. With 40 employees, mostly information technology and computer networking experts, ITS set out to help local companies set up their networks and telecommunications services and install their hardware –services that were not provided back then. 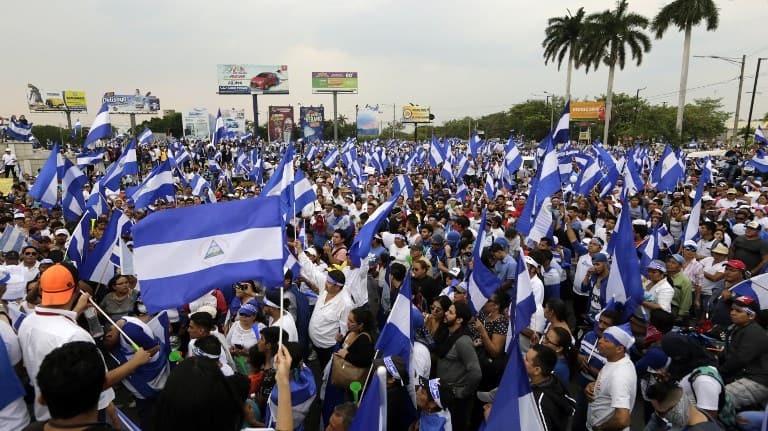 Now, the number of employees has multiplied to 600.More than 50 of these work at an ITS office in Guatemala, another 30 work in an office in El Salvador, and the rest work inside Torre Mercedes and in the company’s other Costa Rican office in Tibás, north of San José – where it all began, Vargas said. ITS expanded into its Torre Mercedes office five years ago and has grown to provide a platform of seven services: network management, information security, an engineering laboratory, contact, data and learning centers and technology consulting. Vargas describes the NetworkOperationsCenter as “an intensive care unit” where engineers and experts ensure clients’ computer networks operate adequately 24 hours a day and seven days a week. “Networks are to businesses what the nervous system is to people,” Vargas said. The company’s NetworkSecurityCenter monitors networks to prevent intrusions by hackers or viruses. The company’s Engineering Laboratory advises clients who need to purchase equipment so they can acquire the best technology for their business at the best price. Approximately 300 customer service agents at the ITS Contact Center tend to more than one million calls each month for companies such as McDonald’s, INS, RACSA and Riteve, the Spanish-Costa Rican consortium in charge of mandatory vehicle inspections. The DataCenter manages clients’ information, including safeguarding important banking and financial data, while the LearningCenter provides continuous training, both to ITS staff and clients. Through its technology consulting services, a team of ITS experts works with clients to understand their technological needs and design the necessary solutions to help them succeed. The service centers are spread over two floors at the Tibás office and Torre Mercedes, where a young, dynamic-looking staff buzzes around through roomfuls of computers, conference rooms, dining and meeting halls with panoramic views of San José. According to Vargas, the average age of against FEDECAFÉ presented in September, Café Britt cites as evidence a report that a Costa Rican man named Juan Valdez declared in an affidavit that he does, in fact, drink Costa Rican coffee. The coffee controversy, which has brought media attention to both parties, was reheated this week when Ricardo Obregón, commercial marketing manager for the Colombian Coffee Promoter (PROCAFECOL), which manages the Juan Valdez coffee shops, spoke at the 20th annual International Coffee Week (SINTERCAFÉ) conference in San José (see separate story). In his speech, Obregón publicly announced his company is looking for local partners to sell its coffee in Costa Rica. The would-be-competitor’s call for associates left Café Britt president Steve Aronson, who was sitting in the audience, with a bitter taste in his mouth. Café Britt’s counter suit argues that “Juan Valdez drinks Costa Rican Coffee” – which has been the title of a Harvard doctoral thesis and the text of a bumper sticker – is a commonly used phrase in Costa Rica, something along the lines of “pura vida,” and thus isn’t subject to property rights. “We’re going to fight for anyone to be able to use that phrase all over Costa Rica,” said Café Britt’s lawyer, Victor Hugo Mora. Denise Garnier, the Colombian federation’s lawyer in Costa Rica, questions the phrase’s popularity. “Years ago, I saw a car with a bumper sticker that had that phrase on it once. That doesn’t make it a common saying,” she said. Alfaro Lizano, executive manager of the government’s Costa Rican Coffee Institute (ICAFE), said the phrase doesn’t hold the status of a commonly used slogan in Costa Rica. “It’s a joke within the industry, but not in the general population,” he said. As to whether Costa Rican coffee is better than Colombian coffee, he said “the best coffee is the coffee that you like,” adding that coffee from different countries are often put together in blends. “I’ve heard it, but nobody really uses it,” he said. Others, such as SINTERCAFÉ clerk Ericka Brenes, say the saying is heard commonly in Costa Rican culture. “I’ve always heard that, ever since I was little,” she said. Britt’s lawyer Mora says the company will be submitting witnesses like Brenes who have been using the phrase for years. Sitting at a table in the luxurious lobby of the Hotel Real Intercontinental in Escazú, where the conference took place this week, Aronson whipped out his cellular phone and pulled up a digital photo on the screen. 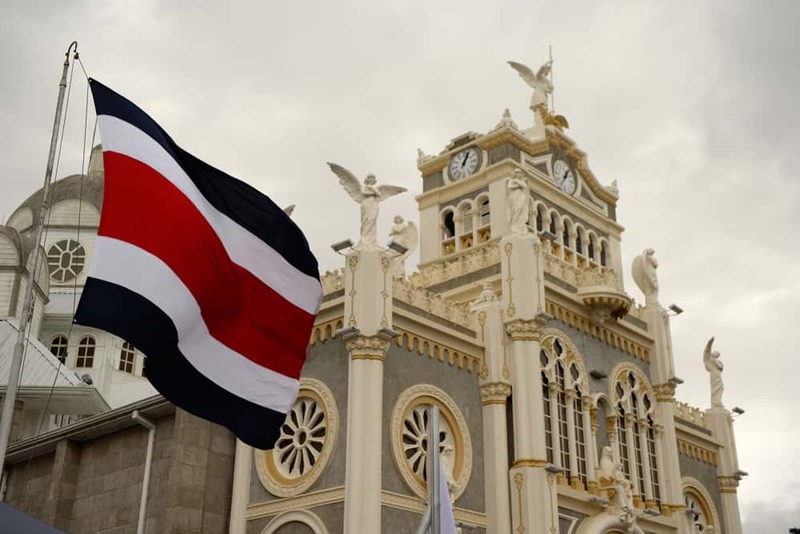 He had snapped a shot of a bumper sticker with the disputed slogan on a counter at an area coffee shop – more evidence that the slogan has pervaded Costa Rican culture, he said. FEDECAFÉ’s allegations “have just become this ridiculous thing,” said the sprightly founder of Café Britt, a company that also sells coffee liqueur, espresso beans, nuts and souvenirs, and runs the popular Coffee Tour. “Juan Valdez is an expert cafetero, so it makes sense … that he would drink Costa Rican coffee,” he said with his tongue-incheek sense of humor in his Danny DeVitoesque New York accent. 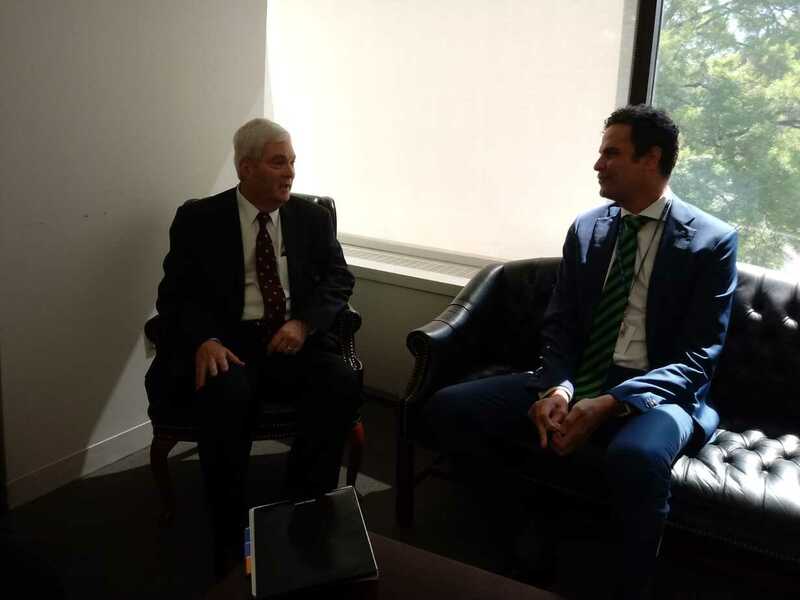 Though Juan Valdez wasn’t available for an interview, he told The Tico Times in an email from FEDECAFÉ yesterday, “I’ve heard that Costa Rica produces a good coffee; but I’ve never been to Costa Rica and I’ve never had a cup of Costa Rican coffee. “Because I was born in the Colombian coffee plantations, I drink Colombian coffee. ITS employees is 26, and most of them come from technical professional schools or have backgrounds in computer sciences or electronics. He added that the company’s average salary is comparable to that of similar companies in countries such as Ireland and Spain. Bryan Córdoba, a top student at Don Bosco Technical School in San José, is completing a two-month internship at ITS, where he assists in network monitoring. “This is a very enriching experience,” Córdoba, 18, told The Tico Times. If his internship goes well, he could be hired permanently in January. Córdoba is one of seven students selected for an internship out of a pool of 300 students with the highest averages in almost 40 technical schools throughout the country as part of ITS’ “Opening Doors” program. According to ITS Social Responsibility Coordinator David Brenes, ITS has always prioritized social responsibility. For example, since 2002, ITS has operated the Foundation against Student Desertion (FUNDESER) jointly with a San José school, the Social Juan 23 School, Brenes explained. The foundation provides support to students in three schools to keep them from dropping out. 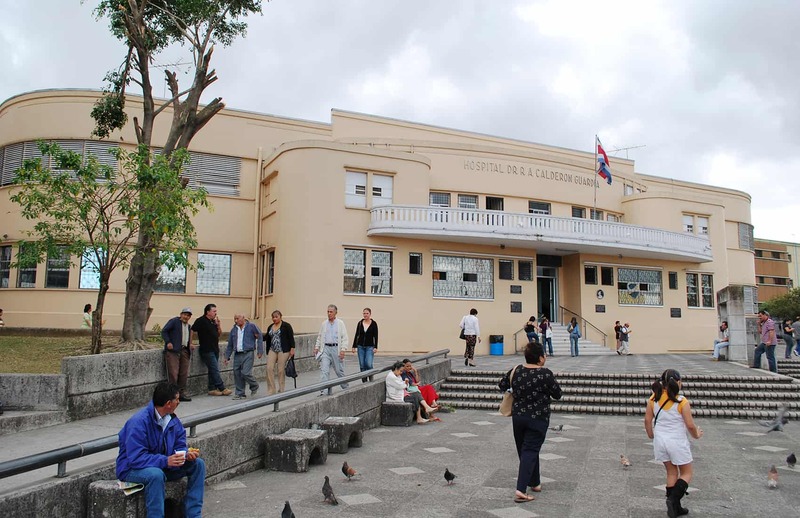 Seventh graders at the Santo Domingo and San Pablo schools in Heredia, and Orosi in Cartago, receive counseling from four educational psychologists, Brenes explained, adding that seventh graders were targeted because the country’s highest dropout rate is in that year. ITS also brings in students from schools throughout the country for open house days so they can discover the world of information technology. ITS hopes to continue on its successful path. “Every year we keep growing with our clients. New needs emerge for our clients that we have to attend,”Vargas said.